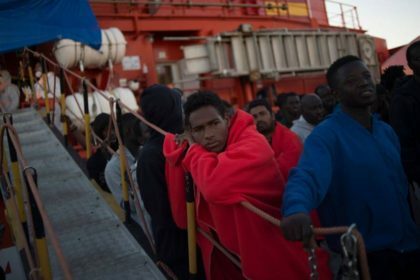 The EU should help Morocco address the challenges linked to the increase in Sub-Saharan migrants, said Spanish Interior Minister Fernando Grande-Marlaska. Speaking at a conference on security and migration in Vienna, the Spanish official described Morocco as a “privileged partner” whom the EU should help setting up accommodation facilities for migrants and border monitoring. Morocco is undertaking colossal efforts to curb illegal migration, which require more EU aid, he said. The EU’s migration policy hinges on good understanding between the southern and northern Mediterranean countries, he said, stressing the preventive approach as more appropriate to deal with illegal migration. The EU should fight criminal networks who put people’s life at risk, he said, underscoring the need for the promotion of legal migration and the integration of migrants in EU countries. Consuelo Rumi, Spain’s Secretary of State for Migration, told the press after the meeting that Morocco is making huge efforts through tightening border control and cracking down on human trafficking networks while promoting the integration of migrants in the Moroccan society. “The Royal initiative in the field of managing migration flows stands as an example to follow and a model in the African continent,” he said on the sidelines of the close-door meeting. The Western Mediterranean emerged this year as the main route for illegal crossings to Europe as more migrants avoid Libya as a platform for the hazardous journey to Europe.